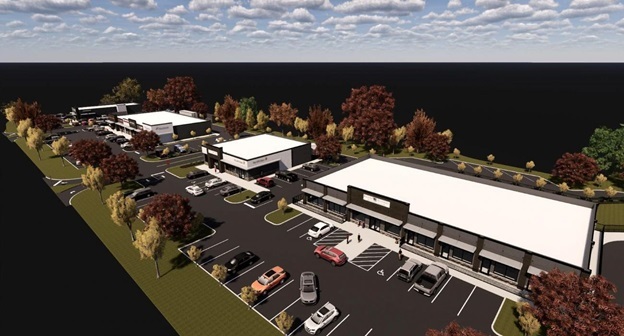 Woodmont Company has announced plans to build a 15,000-sq.-ft. retail center in Grayslake, 50 miles north of downtown Chicago. The four-building project, called Washington & Barron Commons, will be built at the corner of Washington St. and Barron Boulevard. It will be built in two phases. Beginning construction this summer, Phase I will include a 9,000-sq.-ft. building for Kiddie Academy and a 4,500-sq.-ft. single-tenant building. Phase II also includes two buildings: an 8,000-sq.-ft. multi-tenant building as well as a 3,000-sq.-ft. single-tenant building. The village of Grayslake is approximately 50 miles north of downtown Chicago.